Iosefka's Clinic is a location in Bloodborne. This is one of the two locations where the Hunter can send people looking for "safe places", the other being Oedon Chapel. 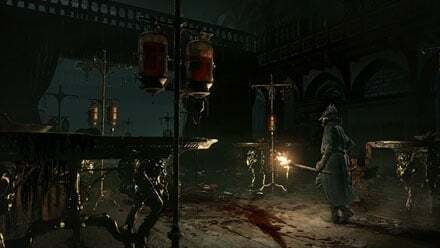 If the Hunter returns to the 1st Floor Sickroom after defeating Father Gascoigne, the woman behind the door directly behind the lamp (Iosefka) will claim that she wishes to help people during the night of the hunt, and asks the Hunter to send anyone they should find to her. Anyone the Hunter sends here will be experimented on and transformed. The Hunter can enter the Clinic through a hidden path in the Forbidden Woods, found by sticking to the left side of the Wood and navigating a cave filled with poison water. After climbing an obscenely long ladder, the Hunter will appear in the graveyard just outside the Sickroom, and can unlock the gate. 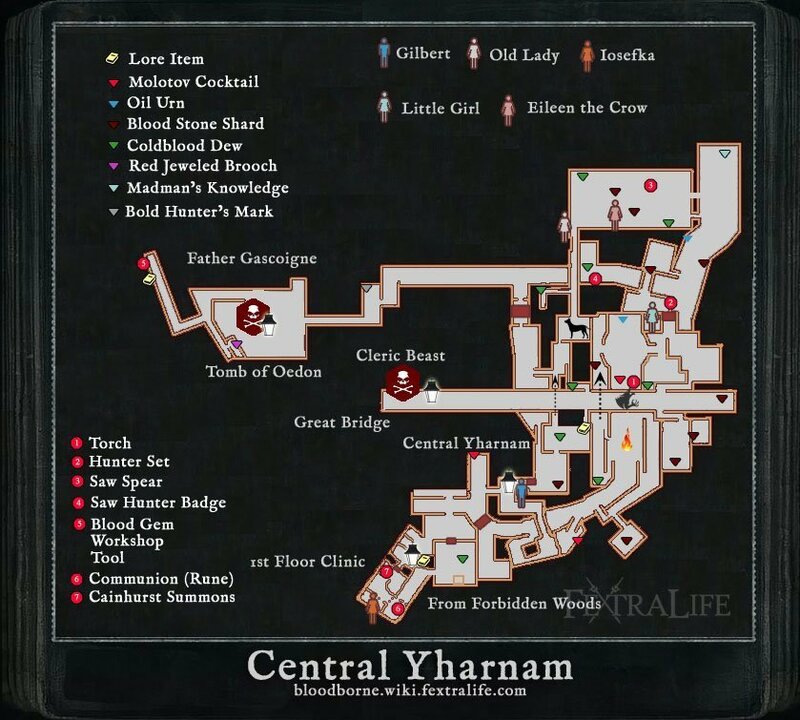 Inside the Clinic is a Cainhurst Summons, which is necessary to access the hidden zone Castle Cainhurst and the two covenants Vilebloods and Executioners. Iosefka herself can be fought and killed here. It is advised to do so only after defeating Rom, the Vacuous Spider, so she will drop a Third of Umbilical Cord. After killing Rom, the Vacuous Spider; you can hear a baby crying inside the clinic. I kinda like sending all survivors here. Sure, they get experimented upon and transformed, but they are not hostile (only temporary if you get too close to some), they are alive and safe from beasthood. And it&apos;s afaik the place with more survivors potential: Iosefka, Imposter Iosefka, Gascoigne&apos;s daughter/Yharnam girl(she dies in the way to chapel, but manages to get to clinic), arianna (and saves her the trauma of the baby), adella, sceptical man, the old woman, and even the suspicious beggar (who, being now kin and no longer a beast, does not kill anyone). What happens when you send someone to Iosefka&apos;s clinic after killing her? I hope I didn&apos;t ***** up by going to Iosefka&apos;s Clinic through the back way before telling the Skeptical man to go there. I killed Ioesfka. I wanted the cord from her though...can I get another piece another way? Are the more ways in the game to get 3? Can one send the survivors to Iosefka&apos;s Clinic after defeating Rom? I feel like I might have made a mistake in killing Rom too soon.